Google wields a lot of influence on the web as the developer of the most popular desktop browser in the world. As detailed in a draft proposal (via Venture Beat), the company wants to effectively kill Flash by blocking the plugin and prioritizing HTML5 by the end of the year. The plan has yet to be finalized, but starting in Q4 of 2016 Chrome will default to using HTML5 when available. For sites that require Adobe Flash, the browser will show users a prompt to manually enable the plugin. Once allowed, the site will reload and Chrome will remember a user’s preference on future visits. Flash Player will still be installed as part of Chrome, but it will be invisible to websites. Google has built-in measures to address sites that direct users to install Flash from Adobe. When users click on an “Install Flash” link, Chrome will show the prompt to whitelist Flash on that site. YouTube.com, Facebook.com, Yahoo.com, VK.com, Live.com, Yandex.ru, OK.ru, Twitch.tv, Amazon.com, and Mail.ru. However, the whitelist will expire in one year. Google’s intention is to clearly force the biggest sites to fully switch over to HTML5. For users (like enterprises) that absolutely require Flash, there will be an option in settings to “Always run Flash content”. 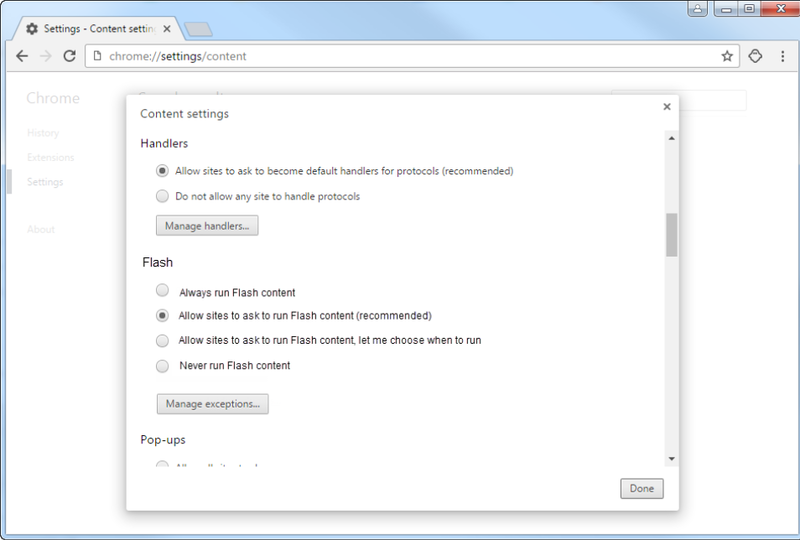 But by default, the setting will be to “Allow sites to ask to run Flash content”. There will also be an option to disable the plugin entirely. In the coming months, Google will be working on implementing the best UI and phrasing to explain the changes to regular users. Hopefully, this plan will hasten the death of the plugin. Flash is outdated, full of exploits, and a resource hog on battery life and processing power.